Ask seasoned online roulette players what attracts them to the game, and they will name a few reasons. First of all, roulette is considered a classic casino game, steeped in tradition and popular all over the world. Roulette is a game of chance which requires no other skill other than to learn which bets to place. 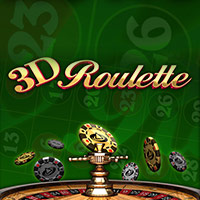 Players then sit back and enjoy the adrenaline rush as the roulette wheel is spun and the winning number is declared. Roulette is also attractive in that there are many types of roulette available, especially on an online platform. Finally, roulette is fast paced and rewards are practically instantaneous. While many history books declare that roulette began with the discovery of the roulette wheel by the French mathematician, Blaise Pascal, around the 17th Century, it is also generally accepted that a form of roulette – albeit not on Pascal's wheel – was played as far back as ancient Rome. Some historians even believe that Roman soldiers used their chariot wheels to play a form of roulette, although this game would likely be very different from the game found at today's online casinos. Pascal's roulette wheel was soon adopted in luxury European casinos of the early 1700's, and became a very popular form of entertainment. The game went through several changes over the centuries, including the addition of a single zero by the Blanc brothers in the mid 1800s. By the latter part of the 19th Century, roulette was being played exactly as we know the game of European Roulette today. 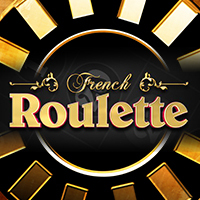 Around that time, French settlers arrived on the shores of North America and introduced roulette to local residents. Over the years, US casinos adapted the game to give them a greater House Edge, and this was done through the addition of an extra zero. 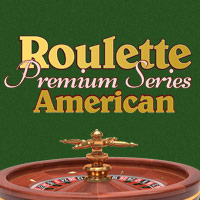 This gave rise to the variant of roulette called American Roulette. Roulette remained a permanent fixture in casinos all over the world and is considered one of the most popular casino games of them all. It is little wonder then, that the game made a smooth transition to the world of internet in the middle of the 1990s and is found in multiple variants at top online casinos today. The outcome of online roulette is determined by Lady Luck and players should remember that there exists no real 'strategy' that could alter the result. 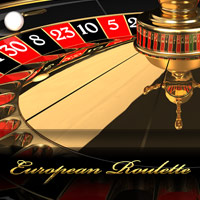 That does not mean, however, that players cannot take steps to alter their chances of winning – one of them being choosing the variant of online roulette they will play. One of the reasons that American casinos added an extra zero to the roulette wheel is the fact that they wanted to increase the House Edge. As such, it makes more sense to play European Roulette with its 36 numbers one zero with a House Edge of 2.7%, than to play American Roulette with its 36 numbers and two zeroes and a House Edge of a significantly higher 5.26%. Another way to alter one's chances of winning is to decide which bets to place on the roulette table. While it may be tempting to place the wager where payout is 35 times your bet, the chances of actually landing that single number you have predicted are much lower than if, for example you wager on the ball falling into a black slot. While the payout on the latter is much lower (1 to 1), you have a much greater chance of actually winning anything than if you placed a single number wager. 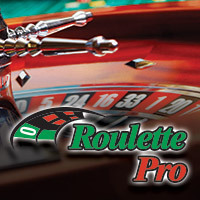 As such, online roulette players, especially rookies, are generally advised to avoid single number wagers and, in the case of American Roulette, five number bets as the chances of a payout are the lowest out of all the wagers. Before sitting down to playing roulette, players should familiarize themselves with the roulette betting table and wheel. Once they've done so, the actual rules of the game are very simple to follow. 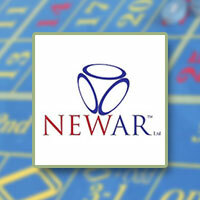 The objective of roulette is to predict which number the ball will land on after the roulette wheel stops spinning. However, players have the option to not only predict which number, but also which color (black or red), whether the number will be odds or evens, and so forth. The roulette wheel is spun and the ball comes to land in a slot on the wheel. The croupier pays out any winning bets. The roulette betting table has all the numbers that are represented on the roulette wheel arranged in three 12-number columns. Around these columns are various types of wager options. For example, players will be able to place 'outside' bets on whether the number will be an even number or whether it will fall into a black slot. Because there are several variants of the game available, players will find that some have slightly different rules to others. Two rules that players may come across are the En Prison Rule (French meaning 'in prison'), which allows them o surrender half their outside wager if the resulting number is a zero. Alternatively, they can leave their wager on the roulette table for the next spin. The La Partage rule is similar to the En Prison rule, and both of these actually bring the House Edge down even more. Making Wise Wagers: One of the best ways to keep your bankroll intact is to choose the types of bets you place carefully. While it may be tempting to place a bet where your returns are 35:1, you have to be realistic and know that the chances of this happening are very slim. As such, stick to even money wagers which, while they won't pay out as much as other wagers, will make sure that you continue to see realistic returns on your money. In the case of American Roulette, the worst wager to make would be a five number combination (0, 00, 1, 2 and 3). With a house edge of nearly 8%, this is one bet to avoid. 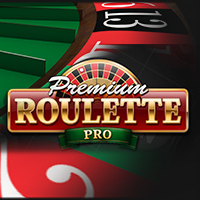 Choosing Good Roulette Variants: Another good choice to make when it comes to online roulette is the specific variant of the game. 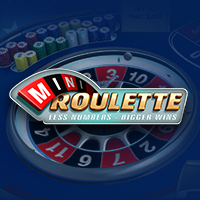 It makes little sense to choose American Roulette with its high House Edge, when other variants such as European Roulette are available on the same platform at Mansion Casino Canada – especially when the odds are so much better. 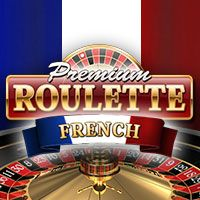 Playing a Variety of Roulette Games: This tip may contradict the previous one somewhat, but it also makes sense to at least try out different variants of online roulette – if only for the entertainment benefits. 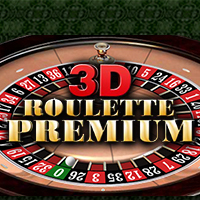 Online casinos offer games such as Live Roulette and the graphically enhanced 3D Roulette for some truly exceptional online gaming experiences. Making Wise Money Decisions: This tip actually applies to all forms of online gambling: Players should spend their money wisely and play within their limits – both in terms of amount and time spent. It is always a good idea to check the betting limits at a table you are thinking of playing at so that you don't spend all your money within minutes. Roulette is a simple game to play and there are very few buttons that require an in-depth explanation. 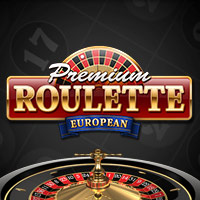 Players can choose to play in Regular Mode which presents them with a simplified version of online roulette or Expert Mode with a more sophisticated layout. The Chip Size Selection button is self-explanatory, and is manipulated by clicking the + (increase) or – (decrease) icons. Once players have decided how much to wager, they will click Bet on a chip number to place it on the roulette table, before they click Spin to kick-start the game. Players who want to avoid clicking the Spin button over and over again should consider the Auto Play feature which allows them to determine how many times they want to spin the wheel using the same betting amount, and the casino will do the rest of the work for them. Naturally, there is an option to halt the Auto Play feature before the pre-determined numbers are up, by clicking Stop. 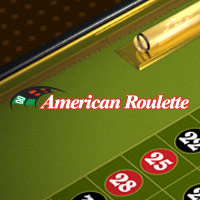 American Roulette: A variant of roulette where there are 36 numbers plus an additional two zeroes. Block Bet: Placing a wager on a section of the roulette wheel. Column Bet: Wagering on one column (12 numbers) on the roulette table. Corner Bet: Wagering on four numbers at a time. Payout 8:1. Double Zero Bet: Wagering on the 00 – applicable only in American Roulette. En Prison Rule: Half the bet is surrendered or it is 'held in prison' for the next spin. European Roulette: Original roulette game where the wheel consists of 36 numbers and one single zero. Even Bet: A wager that the ball will fall on any even number on the roulette wheel. Payout 1:1. Green Numbers: The zeroes on a roulette wheel. Inside Bet: A wager placed inside the layout of the roulette table. Line Bet: Betting on 6 adjoining numbers. Payout 5:1. Split Bet: A wager placed on two inside numbers at the same time. Straight Up Bet: A bet placed on a single number. Street Bet: A bet placed on any three numbers in a specific column. Payout 11:1. Trio Bet: A wager placed on three bets at the same time. Mansion Casino has a simple sign up process which allows players to register safely. Opening an account allows players to play for play or real money, although the latter requires a deposit of funds so as to facilitate wagering and winning real money. Real money accounts can be used on both Flash (instant) and download platforms. It should be noted that once players have created a Real Money Account, they are eligible to use the $5,000 Bonus available to new players at the site. Access the page which requires players to fill in the different fields presented to them, mainly personal and contact data. Click and agree to Terms and Conditions. Click the Create button to create a Real Money Account.